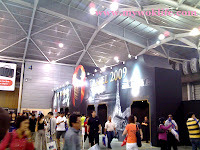 I went to SG Expo this afternoon, for the NATAS (The National Association of Travel Agents Singapore) Travel Fair exhibition. It was the last day of NATAS Fair, and wanted to check out the best deal for my vacation planning. This was my second time to NATAS Fair. 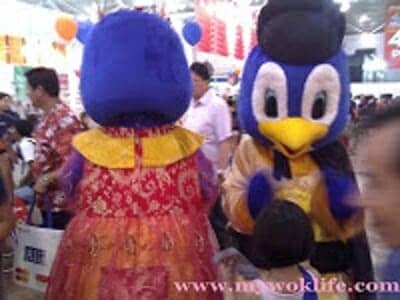 It used to be located at Suntec City, but changed to Expo, perhaps to cater for bigger crowd. Hit the place with a hope for minimal crowd or entry queue, but gosh! Oh no… The chaos scene was just exactly like what the news had shown last evening! A snake line of queue to buy admission tickets! Yes, it was not free admission, and yet all desperate visitors were eagle to check out the best travel deals there, like me. This spectacular scene was familiar to me, as what I had gone through with similar queuing experience in New York City, for the visit to the Empire State Building. I was quite hesitated to stay on now, but luckily, the queue moved pretty fast! It wasn’t as bad as what I thought it would be… Visitors were allowed to enter in batches, pretty quick movements. Many agencies and exhibitors were here. Chan Brothers Agency had the biggest booth, and people were queuing up to make enquiries. This event was very huge, occupying two large halls, you just had to basically walk and walk. Travel fairs were always popular among the local residents. We liked to travel around the world, for the fact that Singapore is just a tiny spot to live in. Of course, as consumers, we liked to get the best deals ever. And for this reason, people loved visiting travel fairs. Yes, based on my observation, the same travel packages offering in the travel fair were indeed lower in prices than the outside agencies in normal days, savings were ranging from $100 – $200 for each traveler. On top of it, many perks were also given out to the consumers for getting their package there, for instances, redemption of luggage bag for purchase of $3000 and above, free extension stay for purchase of $6000, and etc. Most of these perks were fully redeemed! Having said that, I did not manage to get my travel deal on the spot, actually. The potential destination which I would most likely be visiting was, in fact, having a special travel promotion even for online purchase. Same great deal. So, what was the rush for sealing my option on the day. Who knows, I might change my mind to another travel plan tomorrow…. Well, after my final research and comparisons done in the same evening, we decided on a holiday to… Club Med. Thank you for visiting and for your encouragement. And I’m glad I discovered your site! Best wishes. Thanks for visiting! And I love that jacket at a previous post of yours. U look so tiny! And u r a mum too? wow! That is what I miss abt SG-all the food and fairs! Travel deals are up again specially with Natas 2011 travel fair coming closer…Hope to see more cheap airfares too!